Yamuna Chhath was celebrated on Vishram Ghat, Mathura on April 16, 2013. 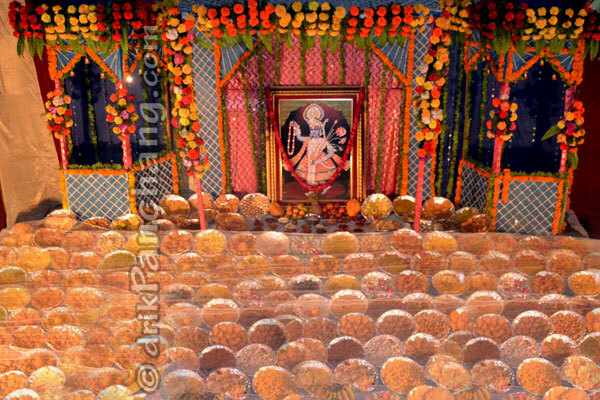 Yamuna Chhath is mainly celebrated in Mathura, the birth place of Lord Krishna. It marks the day when Goddess Yamuna descended on the Earth. Hence this day is also known as Yamuna Jayanti or birth anniversary of Goddess Yamuna. It falls during Chaitra Navratri in the month of March or April. Vishram Ghat is the most pious Ghat at the bank of river Yamuna. Various events are organized to mark the day of Yamuna Chhath. 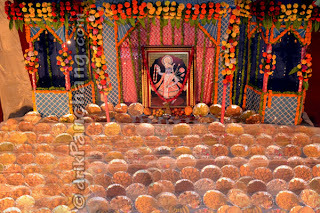 People offer Chunari to Goddess Yamuna during day time, arrange Chhappan Bhog and perform special Aarti in the evening in honour of Goddess Yamuna. 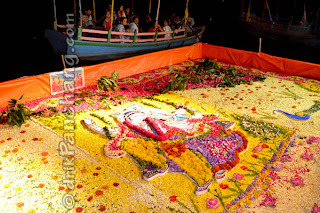 Goddess Yamuna, being wife of Lord Shri Krishna, is revered by people of Braj which explains Yamuna Chhath being celebrated mainly by people of Mathura and Vrindavan. Your is a very informative and easily nagivable site.